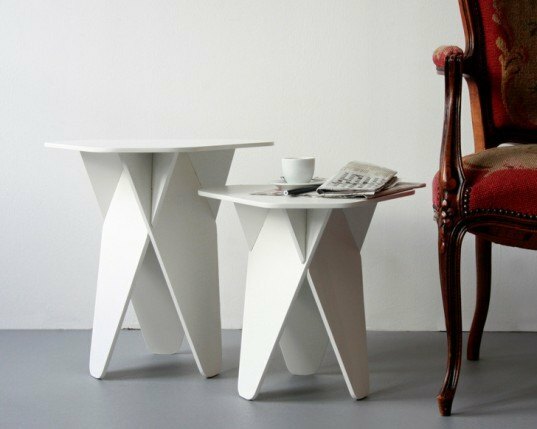 The Wedge side table by Amsterdam-based Designer Andreas Kowalewski is a clever flatpack design that is simple to build, store and transport. The idea behind this genious piece of green design is to create a table that needs less space, hand labour and assembly time by using only one material and a simple assembly process. 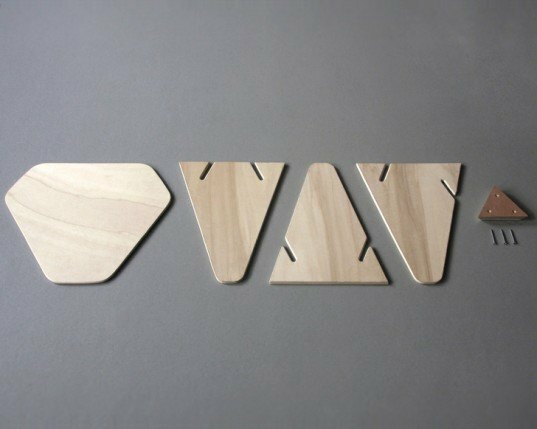 The Wedge table’s top plate is fixed with screws to a conical fitted plywood piece. The interlocking segments work as structural reinforcements, and all four individual table segments can be manufactured through joint operations. 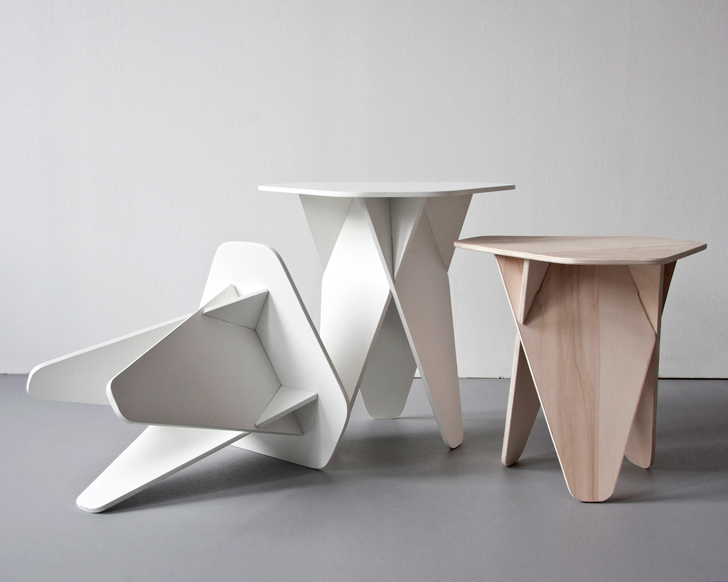 The table’s appearance was designed around the idea that ‘form follows construction’ – the interlocking segments create the table’s characteristic aesthetics. Small cardboard boxes are all that is needed to store and ship these easily stacked tables. podria conseguir los planos o medidas para su fabricacion ?